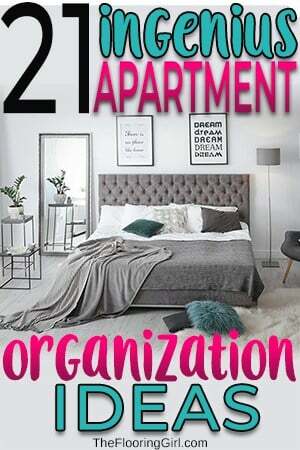 If you have ever tried to declutter and organize your small apartment, you know how tricky it can be. Making a small space look larger can feel next to impossible, and it’s easy to feel overwhelmed by the clutter. Remember, a cluttered home leads to a cluttered mind. It’s difficult to relax and kick back in a messy space, which can lead to feelings of stress. Your home should be a safe space to be in, but too much disarrangement can make that difficult. You are completely empowered to change your situation. Living a minimalist lifestyle is one option, and it’s certainly very popular right now. There are some simple minimalist declutter techniques you can try, but this can sometimes end up backfiring. When you are spending your time and energy on decluttering, this can create a backlog of everything else you could be doing. This, in turn, leads to more stress. More stress means less ability to handle situations constructively that life throws at you. Minimalism is not for everyone. If you aren’t interested in making a huge lifestyle change right now, it’s a better idea to pick up some already-made products that can help make everything easier for you. Here are some of the products that I found to help make your apartment organization easier. Bedroom organization in your small apartment is really important. I don’t know about you, but I find it difficult to sleep when I know my bedroom is a mess. Not only that, but too much clutter can be a fire hazard. This under the bed organization rack is really great for things you want stored out of sight. Keep in mind you need to have at least 8.5 inches of clearance under your bed, but this would work for most beds. It comes with rolling wheels and has a large, open design. This makes it pretty easy to store a variety of things, all while giving you quick access to your stuff when you need it. This heavy duty laundry hamper is something everyone should own. This kind of laundry basket will save you a lot of time since you’ll be sorting your clothing right away, instead of having to wait until you’re doing laundry. The bags are made from thick cotton-polyester canvas bags and can hold up to ten pounds of laundry. They are also durable and machine-washable. If you are sold on having storage space under your bed, this bed with storage is another great option. I think this bed looks really nice. It’s modern and upholstered with linen. It comes with four different drawers that lock into place, as well as center legs and metal side rails that provide additional support and stability. IS YOUR HOME CONSTANTLY BURIED IN CLUTTER? 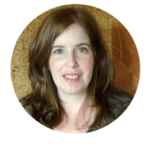 Check out the Declutter and Simplify Bootcamp course from Tracy Lynn. It’s a full 21 day course for decluttering every room in your house. This fabric closet organizer is a great all-in-one clothing option that works perfectly in small spaces. The four cloth cubbies are large and allow for a lot of flexibility. This product could be used for your sweaters, purses, and other accessories. This product only works if you have something to hang it on. It has loops ready for a closet rod, and most rooms have some space where you could attach one. If you are short on storage space in your bedroom, consider grabbing some of these quick links. Attach these chain links to a strong hanger in your closet area. You can then hang multiple shirts on a length of chain that runs vertically. These specific chains are 2″ long, 7/8″ wide, and they open 1/4″. First impressions count. Your entryway is one of the most common places you will see clutter, but it’s also one of the easiest places to declutter. 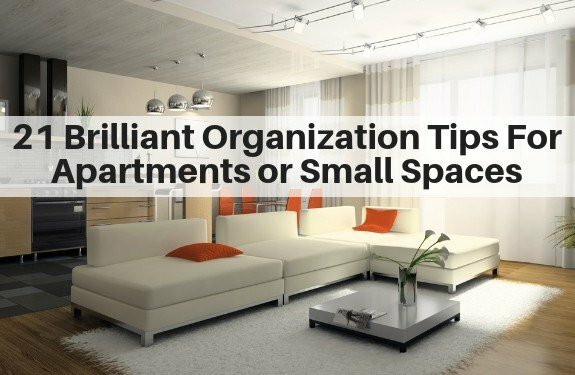 And, bear in mind that these organization tips for apartments also apply to small homes. This wall mounted shelf comes with a clothing rod already installed. The clothing rod is a great place to hang hats and coats, and the shelf allows for a little decor. The rod is made of industrial-style metal, and the shelf is made from lightly distressed wood. Although it would probably look best with modern or eclectic home decor, it’s neutral enough that it could go with most home decor styles. If you decide to add one to your entryway, you should also consider putting one in the kitchen or bathroom for additional storage. This letter holder key rack is nice to have around, and a great way to keep keys from going missing. This particular key holder features one basket and five key hooks. It is made of steel with a bronze finish, but you do have a variety of colors to choose from including black, silver, white and several others. It has a cute floral design that makes it a pretty good fit for your entryway, kitchen, or mudroom. This 3-tier closet storage organizer has a multitude of uses. It struck out as a good option for doorway organization, as the two shelves can be used for shoe storage. It also comes with two drawers underneath, which could be used to store things like hats, gloves, and purses. This is a great price point for what the product is. It can be easily moved around and could be used in multiple spaces throughout your house. This vintage wall mounted shelf and rack is another great option if you are looking for better space-saving ideas for your entryway. This shelf has an additional perk, as it also has coat hooks attached. This essentially gives you three different organizational spaces. It’s versatile and neutral and overall is more likely to go with a multitude of decor styles. Your living room is where you do the most entertaining (usually) so it’s a good idea to get a few organization systems down. For many who live in an apartment, it’s the room you spend the most time in. Decorative trays (like these ones) are a great accessory to have in the living room. Most of us have multiple TV remotes (and other small things) and a tray is a stylish solution to keeping it organized. These trays are made from black walnut and are 100% handmade. It’s a simple and elegant design that can double as a serving tray. An ottoman bench like this one has multiple uses. Not only do you have a place to rest your feet while vegging on the couch, but you also get an extra (comfy) place to sit, as well as ample storage space. And, lately, many have been using ottomans as their coffee tables. This set of nesting baskets comes with five pretty baskets. For your living room, consider putting them on a bookshelf or storing them under a coffee table. Each basket stacks perfectly inside of another basket, which helps minimize its space when it’s not in use. The baskets are also lined with a soft white cloth, which will match most modern homes. This sofa armrest organizer is another great option for organizing and keeping track of your TV remotes. It is designed to fit phones, tablets, books, magazines, and remotes. It’s durable and waterproof, and can be cleaned easily with a wet towel. You have a choice between almost twenty different colors, so it’s likely you will find something that goes with your decor. Although it may be easy to keep a kitchen looking nice on the outside, many of us are guilty of stuffing everything in cupboards. And, we all know that apartment kitchen are notoriously small (and some smaller apartments don’t even come with dishwasher). These products aim to help make organize your kitchen space better. This glideware cookware organizer is a neat contraption that will make organization of your pots and pans much easier. This organizer is heavy duty and is made to accommodate up to 100 pounds of cookware. It also fully extends out of the cabinet, and it accommodates many sizes and shapes of cookware. Installation is easy and only requires four screws. With a lifetime warranty, this is a great product. Even if you use a dishwasher the majority of the time, a foldable dish rack would still come in handy. We all have those special dishes that aren’t dishwasher-safe or times where the dishwasher is already full. This means that sometimes you will have to hand wash, and having a dish rack makes it a lot easier. The problem with most dish racks is that they tend to take up a lot of space. That’s why this foldable dish rack is not only unique but just a great practical option. This kitchen item also comes with a lid organizer, plate rack lid holder, and a fruits and veggies drainer rack. An over the cabinet door organizer can be used for many things in your kitchen. An organizer like this allows you to fully utilize the space in your cabinet, and they can be used on every cabinet in your kitchen (if you want). This specific organizer has an ultra-thin hook that is EVA foam padded to fit and protect your cabinet door. It can fit approximately 4 to 5 regular cutting boards. Under the sink is one of the more difficult places to keep organized in a kitchen. That’s why we really liked this expandable shelf organizer rack. It comes with an expandable rail (15 to 25 inches) and can be adjusted to four different height levels. It also includes three large panels and four small ones. If you are looking for something to organize your space under the sink, this is definitely one of the best products for that. Your bathroom is usually the smallest room in your house, so it becomes easily cluttered if you don’t have a specific place for things. Floating shelves (like these 3-tier ones) can be used in any room of the house, but I find they are most useful in the bathroom. This is because there isn’t a lot of practical things you can keep on shelves throughout the house, as they are usually used for decor. Pick up a few shelves and keep towels, q-tips, and storage baskets on them. The storage baskets will keep it from looking cluttered, while still keeping everything within arms reach. A lazy susan (we liked this one) can be used on top of or under the sink in your bathroom. This makes a great organizer for your vanity, as it’s small enough to fit on top of your counter but big enough to keep things like makeup and nail polish organized. This organizer also helps make use of your vertical space. This specific one has two levels, but you can easily find one with more if you need more space. This multipurpose shelf display comes in multiple colors and sizes and looks to be of higher quality than the price would suggest. Making use of vertical space, you can keep your guest towels neatly organized. Consider grabbing some wicker baskets to put on the top two shelves so that any “clutter” is out of sight. This particular shelving unit can hold up to 25 lbs. on each shelf, and is made of durable wood. This over the toilet cabinet is an excellent space saving option for your bathroom. This particular cabinet comes with cubbyhole storage with two adjustable shelves so you can easily store all of your bathroom necessities. If you don’t have anything over your toilet right now, this is something I would seriously consider investing in. Decluttering a small space can seem difficult at first, especially if you have a lot of stuff. Sometimes buying a bunch of organization products has the opposite result in your attempt to declutter. By buying more things, you are at risk of adding to the mess instead of fixing it. Before you spend time and money on getting your small space to appear larger and more organized, purge the belongings you don’t need anymore. It is difficult to throw things away, especially without knowing whether it is something that will be needed again. Use a year as a general rule of thumb. If you haven’t used something in the past year, seriously consider tossing it (or donate it). Purging is only one step in the process of getting your small space organized. Purchasing items meant for organization is the next step. 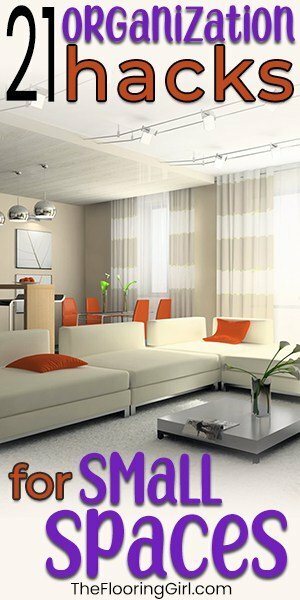 A well-organized apartment can look and feel much nicer than a larger space, as long as you give it a chance. Do you have any organizing tips to add? If so, leave us a comment below. Lots of great ideas to organize a small space. One of the biggest issues is keeping things “put away” and accessible at the same time. A lot of the organizing items for under the bed and for cabinets are very helpful. Grace – Yes, that is definitely a challenge with it comes to organizing small spaces. So glad the under bed ideas are helpful.